1. During life we are look back in time at birth. From our perspective in life we are looking the output side of dimensional change at birth. 2. During life we look forward toward death. From our perspective during life we see the input side of dimensional change at death. 1. The input side of conception is nothing. 2. The output of conception is life. 3. The input side of death is life. 1. Conception is dimensional change at the beginning of life. 2. Death is the same dimensional change at the end of life. That is all we need to prove afterlife. No other variables are required. Given that conception and death are the same event, here are the only three possibilities. 1. Life starts out as nothing (on the left). 2. Life undergoes dimensional change by going through conception. It comes out of conception as life. 3. Life undergoes dimensional change again at death, going into the output side of conception. 4. Life comes out as nothing (on the right). This arrangement is what we see. Birth and death opposing each other it seems plausible because this is what we see. There is physical evidence of death showing life going to nothing. However, just because the world looks flat doesn’t mean it is flat. There are times when looking at the big picture brings new understanding to light. When you turn conception around in an opposing manner like this at death, it is not birth anymore. The problem with this arrangement is conception and death are opposing each other. Since conception and death are the same event this cannot possibly be true. 1. Life starts as nothing to the left of birth. 2. Life undergoes dimensional change at birth and becomes life. 3. Life goes through death but does not undergo a dimensional change. 4. Life continues on after death. In this arrangement life just keeps on going, maybe in some other form. Life goes somewhere different physically such as a dream state. Or life reincarnates into another being. The problem with the arrangement is there is no dimensional change at death. We see life going to nothing at death so there is dimensional change taking place. Life ending is dimensional change. Life continuing on in some other form is not dimensional change. Afterlife arrangements like this cannot be true because there is no dimensional change at the end of life. If this arrangement were true we would not see life come to an end. Life coming to an end is dimensional change. 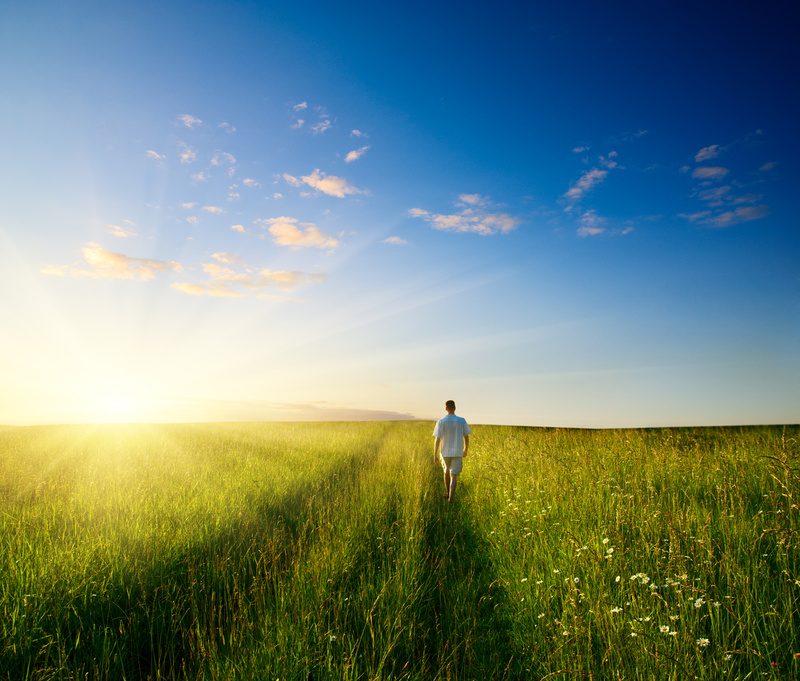 If life continued in its present form without undergoing dimensional change, we would see it. If life changed position at death we would see that too. We do not see life continuing on. We see life end. That is why this arrangement of where life continues after death cannot be true. 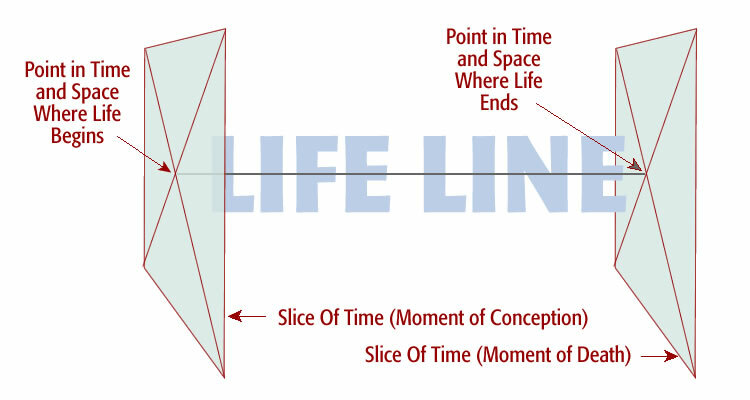 Life begins on the left at a specific point in time and space. It moves forward through time and space toward death. 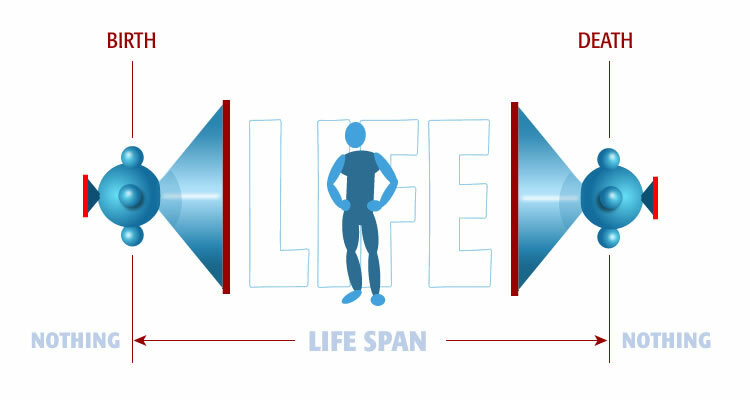 Life arrives at the moment of death at a specific point in time and space. Take our dimensional change machine and position at the point in time and space where life began. 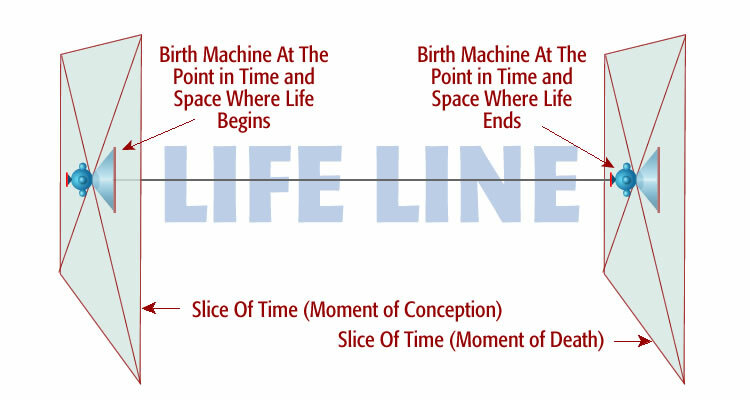 Then take the same birth machine and position at the point in time and space where life ends as shown above. 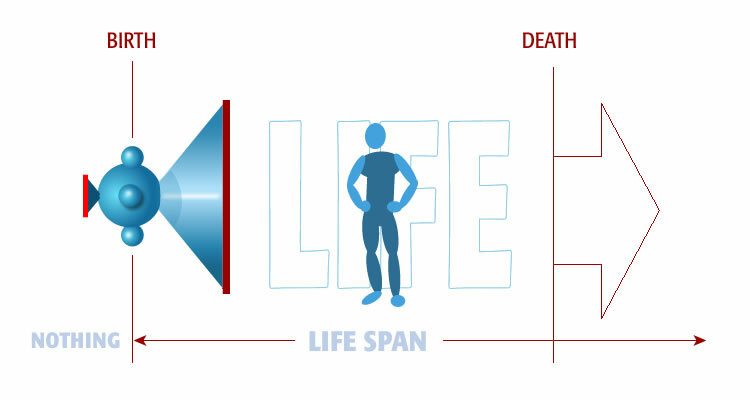 Here is another view of life between birth and death. 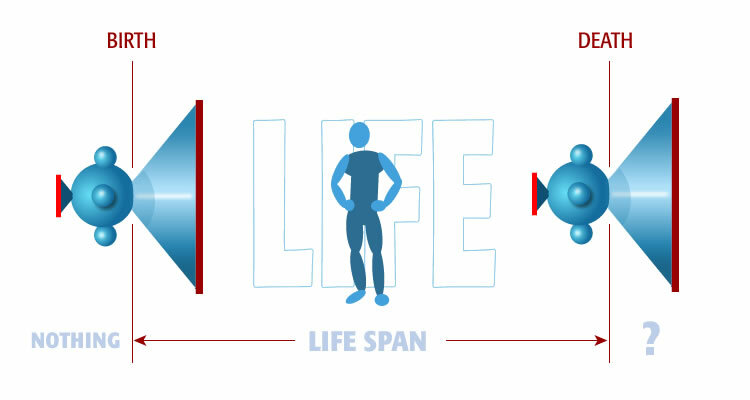 From our position during life we are looking at the output of dimensional change at conception and the input of side of dimensional change at death. This is our life situation. This is what we have. Once you understand this, it all fits beautifully.